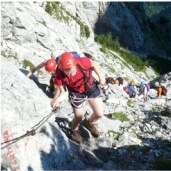 There are many options for hiking around Apartments Štorman. Tržič is linking three valleys surrounded with mountains up to 2.200 m high, hiking trails, mountain houses and easy feratas. 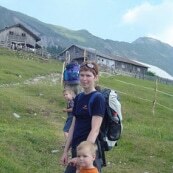 Many options to do daily hikes. Here are ideas for 3 daily hiks. Trail is passing medium ferata that runs on the nord part of the mountain Storžič. Return is easier vie Škarjev rob and passing montain house with basic fresh food based on milk. 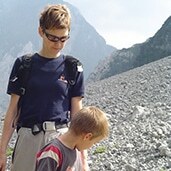 Trail is passing old ski resort Zelenica that is souranded with greate grable slopes/scree. Passing mountain house Zelenica trail is running to the peak Begunjšica and returnig via Roblekov dom, Prevala and very nice trail through tunnels. The trail is passing most famous mountain house Kofce where is a stop of man family hikes. Peaks Veliki vrh and Kladivo are just 2 hours away and offer a great view around Gorenjska region.